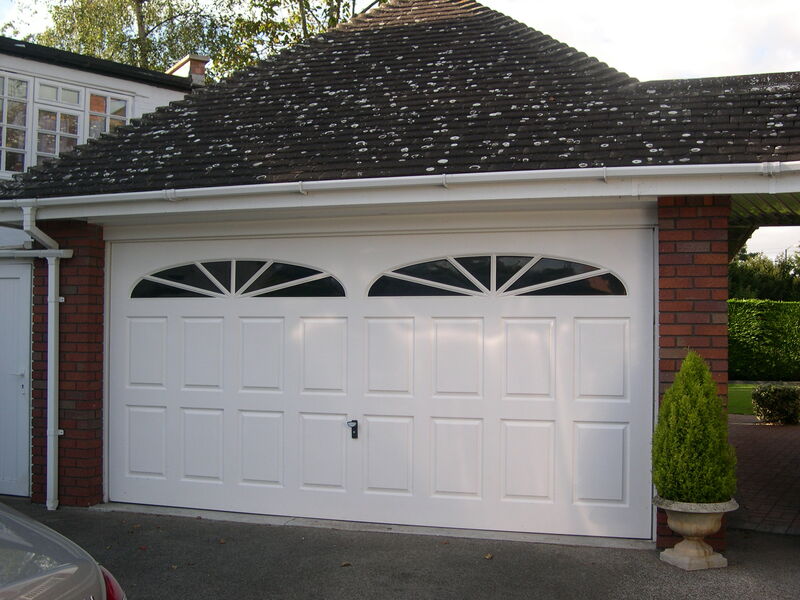 Are you looking for a great choice in side hinged garage doors in Worcester, Malvern, Evesham, Pershore or Droitwich? At Qualfit Garage Doors we stock a range that includes doors in beautiful hardwoods, steel panels, and GRP. Customers can choose from panelled designs, with or without window, and in colours to match the exterior of any property. Where most products sell their benefits in the space saving qualities of their opening mechanisms, the simplicity of side hinged doors could seem out of date. But we know that in addition to offering a more traditional or period style, side hinged doors are the practical option â€“ where a garage is being used for purposes other than storing a car: as a workshop, gym, for household storage, or to house laundry facilities, for example. If you need quick access to your garage space on foot or bike and donâ€™t want a garage door that has to be fully opened every time, side hinged doors could be the best solution for you. Without a complex opening mechanism or multiple moving parts, side hinged doors can provide trouble free operation for the lifetime of the product. A quality choice for a hard-wearing and attractive product, our hardwood doors come constructed from woods such as Cedarwood, seasoned Oak, or Idigbo, which provide a wonderful natural grain, along with all the versatility in design youâ€™d expect from a more â€˜modernâ€™ material. Robust steel garage doors can provide great value for money, high security and energy efficiency performance, and in an excellent range of colours coated by the manufacturer. Both types of door and GRP options are available to be manufactured to your own design, and are installed by our own team of experienced technicians for a perfect fit and a long life. Contact us for more information or a free quote. A first site visit is free for customers in Worcester, Malvern, Evesham, Pershore and Droitwich.